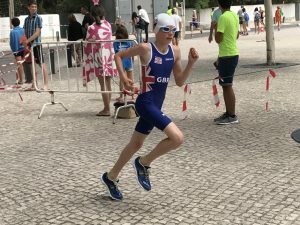 We are very proud of junior club member, Michael, who represented GB Pentathlon in the European Biathle Championships in Portugal earlier in July. Biathle is a run-swim-run competition and Michael won his heat to win a place in the finals against athletes up to a year older than him. A credible 9th place for him this year and another year in that age group. 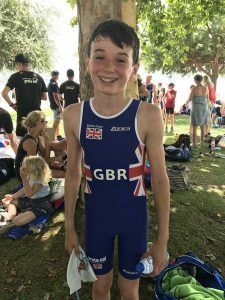 Following on from that success, Michael competed at the British Champs in Manchester last weekend and gained selection to represent GB at World Champs in Spain next year.